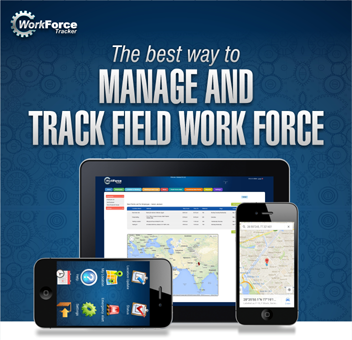 Work Force Tracker app allows you to use one of the preset forms already available or design youyr own custom forms and conduct field data collection using Mobile. We can add any form and make it available to your field staff. 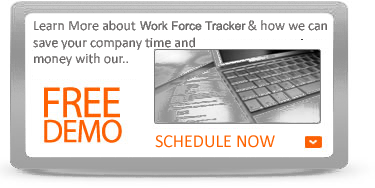 So, whether you are doing service inspections, security inspections or gathering new order information, you can add custom forms to work force tracker. This is an optional module. 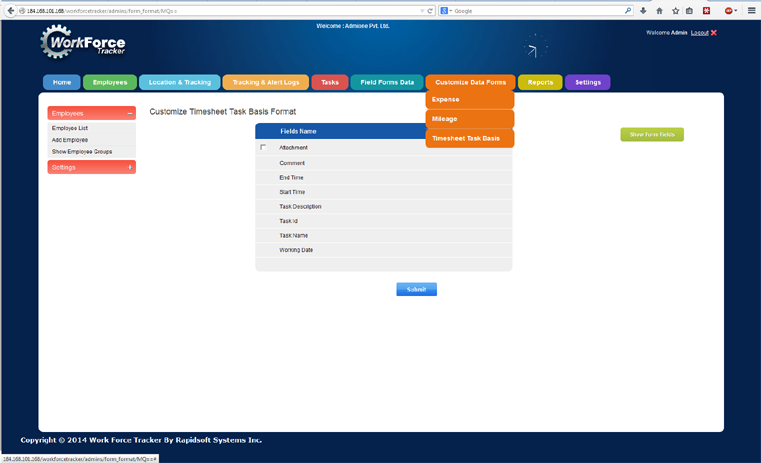 To faciltitate you, the system has already available forms for basica operations such as Timesheet, Mileage Reports expenses, and any other form can be added. 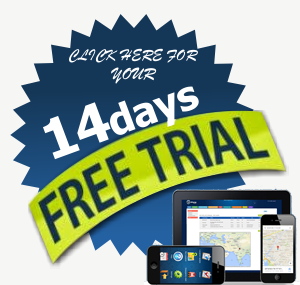 Pre-Set Forms for Field Data - Mileage, Expense, Invoice etc.